HAHAHA, Quan! That's a lovely story! Emma is a STAR, indeed! She deserves the best ever seeds of the world! 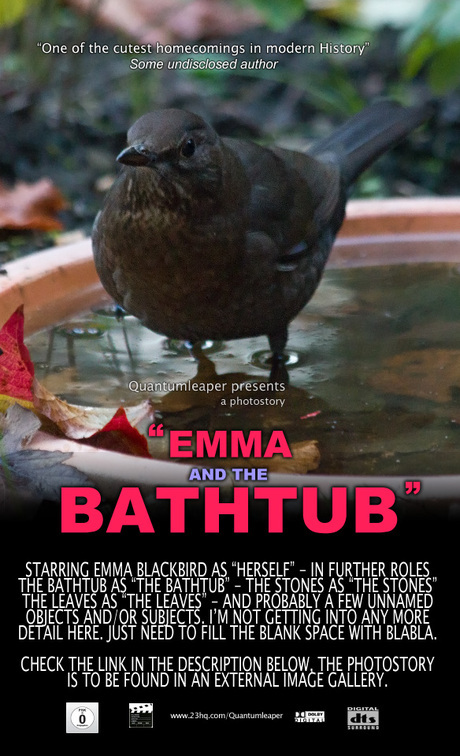 "Academy Awards Best Bird Winner!" You made my day!! Awsome story! The photo has been viewed 737 times.